The way we hold and play the violin/viola is a constant evolving process. Even as recent as 30 years ago, the equipment and tools that were available to us for the instruments were different and some things that were in vogue may not be appropriate nowadays. 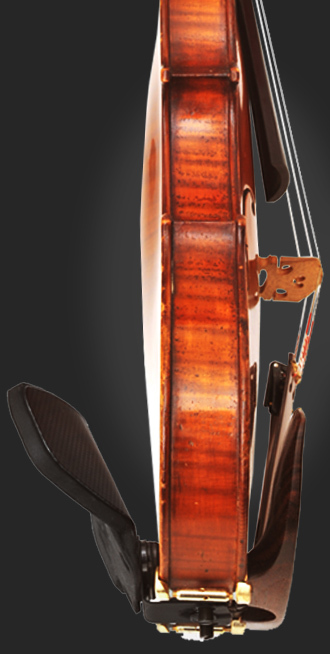 Just look at the wide use of metal strings rather than gut strings these days and how most players will play with shoulder rests rather than without, like some of the great violinists just 30 years ago. Phantom shoulder rest is the first product of Ergo Acoustics Lab (EA Lab), a company which strives to invent and produce ergonomically and acoustically innovative string instrument accessories to enhance the music making experience. We are truly unique in the industry because EA Lab is founded by two Health Professionals who are also serious string players. One of the founders is a medical doctor and researcher/inventor with 20 patents to his name. His unique combination of medical/research/invention expertise and personal experience in violin playing inspires him to constantly seek out better solutions in the experience of violin playing. The other founder is a Doctor of Chiropractic/string player who treats a large number of professional musicians in his practice. His 15 years of clinical experience with musicians' injuries and treatment methods gave him extensive insights into the ergonomics and kinesiological interaction between the string player and their equipment. He believes a significant amount of his clients' injuries are equipment based, and feels that better designed equipment can benefit string players tremendously.